Learning to set a selling price for a product or service is one of the most difficult decisions that a business must make. Charge too much and you lose customers. Charge too little and you lose your shirt. An important first step to set a selling price that is fair is doing some market research. Subscribe to our blogging newsletter using the form below. I no longer publish blogging articles here, I only send them via email. How much are your competitors charging? Look at several similar products or services – make a chart and figure out the average. It is also good to know (but harder to find out) about the financial health of the competition. Is the product a money maker for them or are they struggling to make ends meet? Poll your current customer base. If you already have customers – hand them a questionnaire. Find out how much they would be willing to pay for your new product or service. The price of your product has to serve two purposes. It has to appeal to the customers but it also has to generate enough revenue for you to cover your costs. Fixed costs include things like rent, equipment, insurance, payroll etc. These are costs that you need to pay month after month, even if you don't sell a single unit. Variable costs are expenses that you incur depending on how many units you sell. These might include things like the cost of the raw materials that go into each unit. Unless you like to work for free, you need to make sure that after you cover all of your costs you have enough left over to pay your personal bills. If you have an outside source of income (say from a full time job or a spouse's job) then you may have greater flexibility. Ideally you also want to have some money left over to put aside to further develop and expand your business. At a minimum the sales from your product should be enough to cover your fixed costs. Then you need to tack on the amount you need to cover your variable costs. Here is an extremely simplified example just to illustrate the concept, let's say you pay $100 a month for rent and that is your only fixed cost. Sales from your product should be at least $100. But, let's say it costs you $2.00 per unit to make your product. If you plan to sell 10 units a month your total income for the month should be at least $120 ($100 rent plus $20 – which is $2 x 10 units). We're not done yet. You want to pay yourself $50 per month to cover your own expenses and you would like to save $25 per month to expand your business. Now your income needs to be $120 (for your fixed and variable costs) plus $50 for your salary plus $25 for future use. This equals $195 per month that you need in income. If you are planning to sell 10 units per month you need to charge at least $19.50 ($195/10 units) per unit to cover your costs. Is That A Reasonable Price? Based on your earlier market research you will know if $19.50 per unit is a reasonable price for your product. If the competition is selling their product for $15 then you know you are in trouble. Either you will need to sell more units at a lower price or cut your costs. Is this feasible? What Is Your Pricing Strategy? Often, finding the right strategy to set a selling price comes down to trial and error. How did you come up with a price for your product and what mistakes did you make along the way? Leave a comment below. Does Your Real Estate Agent Clean Your House? Did you enjoy this blogging tip? Get more like this one when you subscribe. 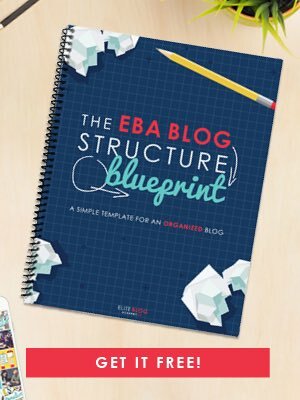 Get exclusive blogging tips - I no longer publish many on this site, I send them all out via email. You are signing up to receive informational and promotional emails from AlmostPractical.com.